Graduate and Postgraduate Education in Germany and U.S.
On March 7th, ECLA of Bard hosted a “Career Evening” aimed to give BA graduates information on MA and PhD programs. Together with our Dean Catherine Toal, who was the main speaker of the evening, several faculty members – Marcela Perett, James Harker, Frank Ruda, and Laura Scuriatti – came to answer students’ questions and share their experiences. As ECLA of Bard’s BA program in Value Studies is based on an interdisciplinary approach, it gives students the capacity to qualify for a great number of programs in the humanities – from politics and human rights, to arts and aesthetics. The following briefly describes our faculty’s collective assessment of the application process, specifically concerning U.S. and German universities, which are the particular regions of interest for many ECLA of Bard graduating students. Typically, prospective students submitting applications to American PhD programs in the humanities either apply directly following a BA track, or return to academia after some time off spent working in the professional sector. As MA and PhD humanities programs in the U.S. universities are often connected and provide financial aid altogether, a candidate’s potential is usually checked within the Master’s program first, after which successful graduates proceed to the PhD. For this reason, it a bit is hard to find scholarships for stand-alone Master’s programs, but nevertheless it is possible. American universities look favorably upon nontraditional MA applicants (i.e. those with interdisciplinary educational backgrounds), if they are willing to be academically flexible. 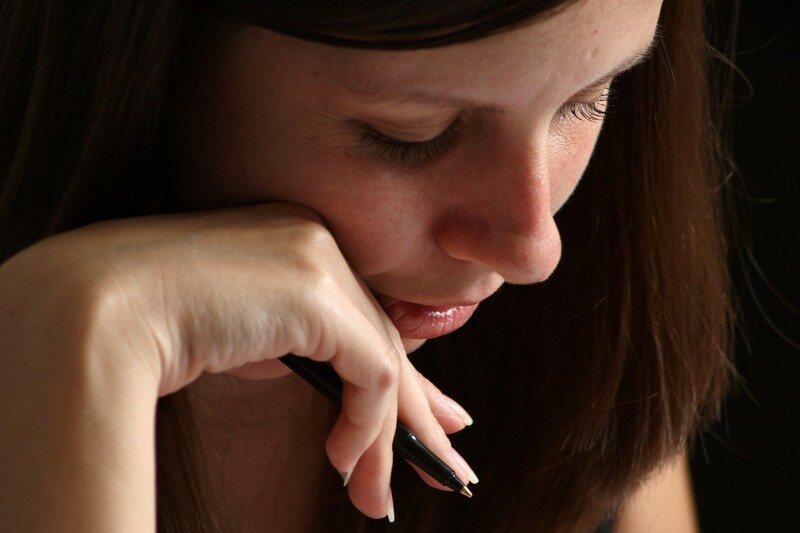 Often for those students, their particular concentration changes after the completion of their BA. Furthermore, applicants who take a few years of break to gain tangible professional experience in a related field are considered more mature and weighted in their decisions by admissions boards. Unfortunately, however, long gaps can translate into a late graduation, as a PhD track can last up to 9 years. However, those who have strong faculty support and good relations with the department complete with their thesis in 6 to 7 years. The graduate application window for American universities is around December-January and a bit later for some departments. This means that prospective applicants should start collecting documents in the preceding summer. Most universities require a Graduate Record Examination (GRE), which can be taken in Berlin (it is necessary to register far in advance). Preparation for the exam itself is time-consuming. Many students are afraid of the GRE, as it includes math exercises, but usually if the overall application package is good and math is not your main subject, your candidacy will not be rejected. The GRE may be taken into consideration in the case of tough competition, but its components should not deter you from applying. 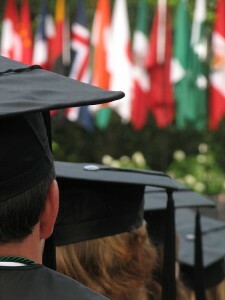 Graduate degrees such as MA and PhD in public universities in Germany are usually free of charge. Some English courses in the humanities are also available. Unlike the American system, Germany combines BA and MA programs, leaving the PhD separate. German universities are more conservative about gaps and radical course changes, so in order to increase the chances for a scholarship it is more prudent to select a corresponding Master’s program. In any case, a candidate must have at least 60 ECTS credits of undergraduate study in the subject area to apply. One can obtain a German degree faster than in the U.S. – usually it takes 3 to 4 years, as the research will not be financed for a longer time. Some graduate colleges have application calls for funded positions as doctoral students. Another option is to work with an individual professor who will be willing to supervise your PhD project. For this purpose it is possible to become an ‘associate’ of a graduate college and its research project. 1. Statement of purpose. This should include the description of previous experience, interests and preferred research areas, specific interests connected with a particular university (courses, professors, location, reputation etc.) and further plans for professional and/or scientific development. 2. Writing sample. Short section of thesis or an essay which deals with one of the research interests. 3. Three letters of recommendation. Two of them must originate from the undergraduate institution, and one must be written by the thesis supervisor. Recommenders should be informed with a three week notice. As it was stated before, ECLA of Bard’s BA curriculum qualifies students to apply to graduate programs in most areas of the humanities: philosophy, languages and comparative literature, political theory and a range of interdisciplinary programs in history, art, culture, and critical and cultural theory. However, since the options are so numerous at the moment of graduation, the student may still require some time in order to set the priorities and choose the preferred field. In this case, it is better to take time off after the BA and see the world, than to apply directly to MA without any idea what to do next. ECLA of Bard’s faculty member Laura Scuriatti told us how she took a 2-year break during which she read a lot on the possible topic of her research. However, some people are hesitant to leave the academic realm for any extended period of time, for fear of losing touch with vital research and discourse; but if the gap year(s) is organized wisely, with an expressed commitment to remain engaged with one’s particular research interests, the intellectual sharpness will not be disintegrated. If you are going to spend the next 5 to 6 years in a particular university, it is worth becoming familiar with all the pros and cons before undergoing the complicated application process. Create a list of things which are important for you – courses, financial aid, social life, sports, extracurricular activities, employment assistance – and check all the available resources. Apart from the official website information, it can be helpful to read the institution’s Facebook page, search for forum discussions and try to contact alumni. If you have already graduated outside of the EU and are not sure how to convert your previous grades according to U.S. or EU systems, send an e-mail to the college administration describing your situation. Most likely, someone from your country has applied there before and college assistants should know how to best help you. If your e-mail is left without response, do not hesitate to call and remind. Insufficient level of German at the time of admission to a German university should not be an obstacle to apply. Most of the universities will accept you with a B1 level in spring if you commit to improve it to C1 throughout summer. Since it can be harder to get a good grade at some universities compared to others, it is good to include a brief explanation of the grading system and the approach of your college’s administration. The entire process still seems too overwhelming? Well, it may interest you to know that ECLA of Bard graduates have been accepted to MA and PhD programs at universities like Columbia, Cambridge, NYU, The New School for Social Research, The University of Amsterdam, Goldsmiths College, the University of Chicago – on the basis of writing samples and letters of recommendation written at/by ECLA of Bard. Just talk to the faculty members, do not hesitate to ask them for suggestions regarding any facet of the application process. The advantage of studying at a small college where everyone knows each other will guarantee that you will get enough attention and help, whereby your application process will turn out much easier than it seemed at first sight.